Flu season is at its peak. Stop it from catching you! 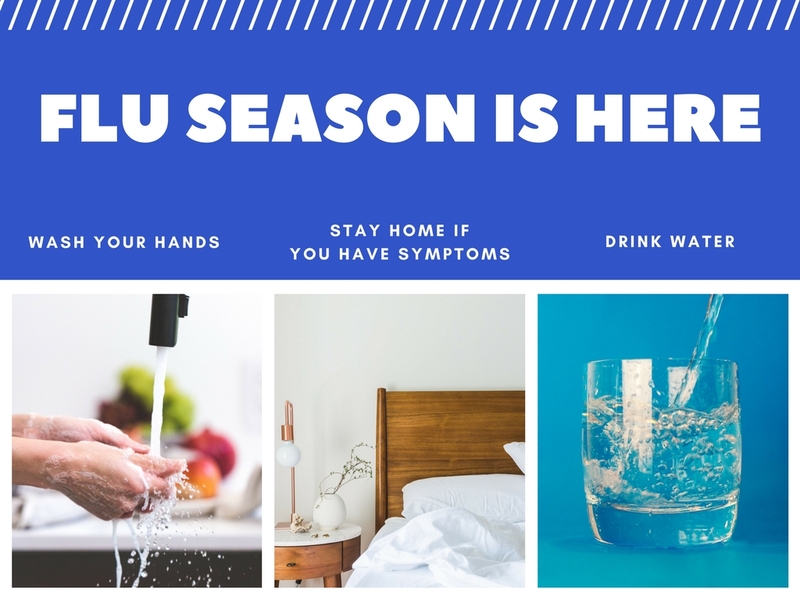 STAY HOME if you have a fever or if your doctor says you have influenza (“the flu”). WASH YOUR HANDS before meals, after being out and about, upon returning home. See your doctor if you have cough, sore throat, fever, head ache to test for flu. If someone you live with has the Flu, consider Tamiflu as a prevention for contracting the Flu. Don’t share food and beverages, or keyboards and other electronics without wiping them down with a disinfectant wipe or alcohol. Consider cleaning door knobs, light switches, refrigerator handles, sink handles, remote controls ​​at home with alcohol or disinfectant wipes morning and evening. Get plenty of rest and water. Eat healthy.